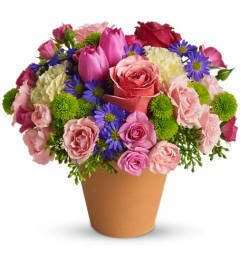 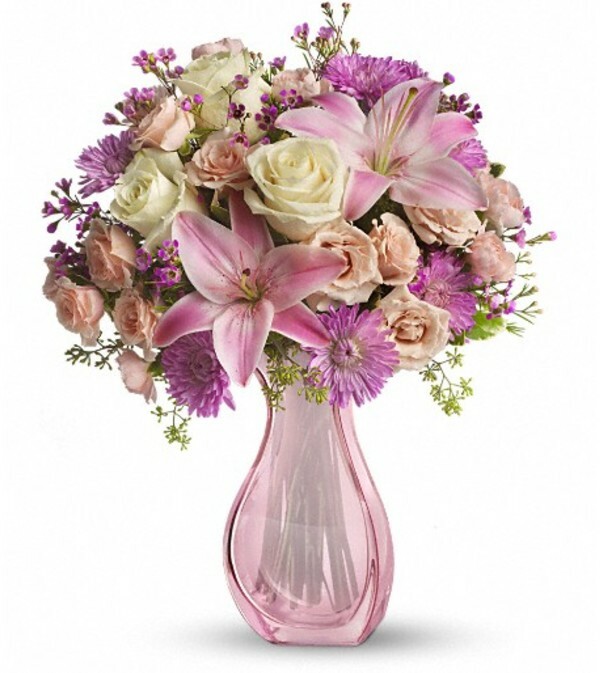 Make Mom’s day extra special with pink lilies and other pastel favorites in a gorgeous hand-blown pink glass vase. 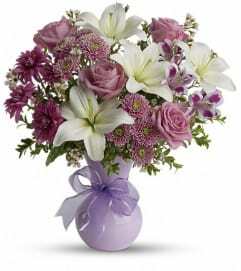 Designed with willowy curves that seem like grace in motion, it is a keepsake she’ll love forever. The elegant bouquet includes light pink spray roses, pink Asiatic lilies, light pink miniature carnations, lavender cushion spray chrysanthemums, pink waxflower, seeded eucalyptus and variegated pittosporum.Delivered in a stylish hand-blown pink glass vase.